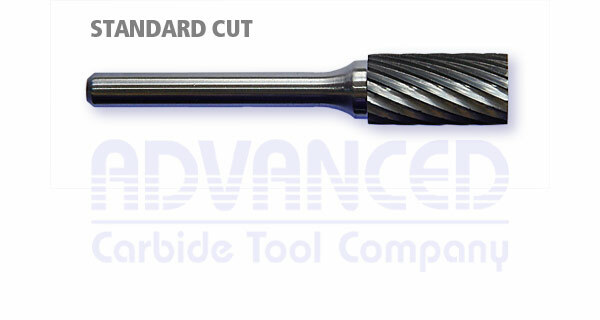 Products, Types of Cuts: Advanced Carbide Tool Company, Inc.
Standard Cut STANDARD CUT is a general purpose tool designed for cast iron, copper, brass and other ferrous materials. It will give good material removal and good work piece finishes. 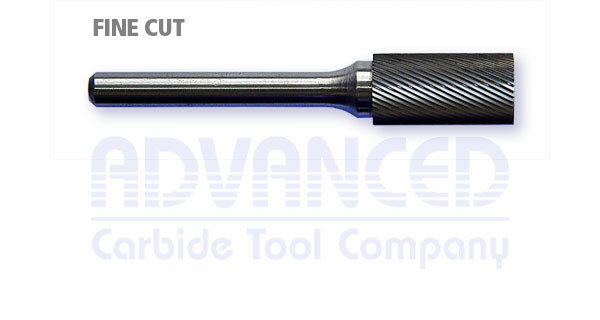 Fine Cut FINE CUT improves finishes on hardened steel, stainless steel and cast iron. Operator control is improved. 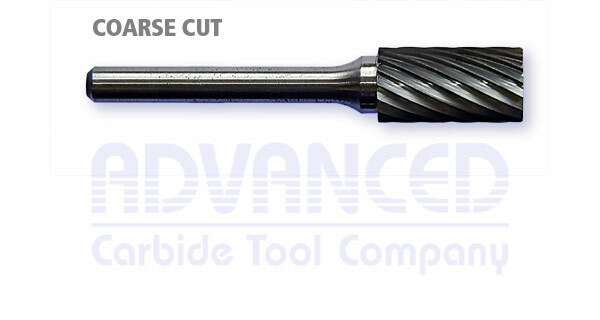 Coarse Cut COARSE CUT is recommended for use on soft material such as copper, brass, aluminum, plastics, and rubber, where chip loading is a problem. Chip Breaker CHIP BREAKER CUT will reduce sliver size and improve operator control at a slightly reduced surface finish. 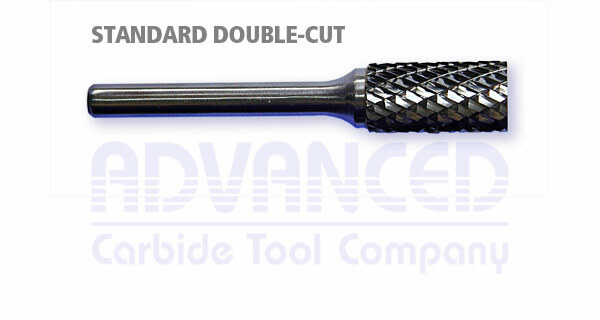 Double-Cut STANDARD DOUBLE-CUT allows for rapid stock removal and better operator control. Chip size is reduced and tool speed can be slower than normal speeds. Double-Cut COARSE DOUBLE-CUT is for fast stock removal in soft materials. Allows good operator control and produces small chips. 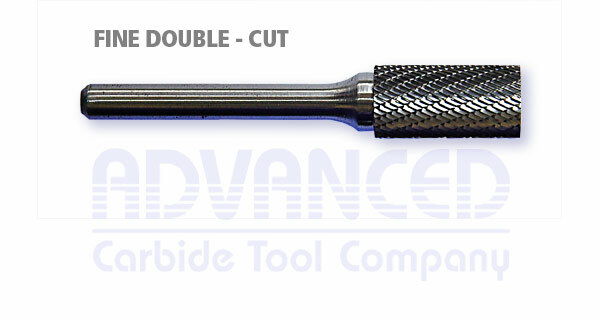 Double-Cut FINE DOUBLE-CUT is very effective on heat treated and tough alloy steels. Chip size is reduced and it offers good operator control. 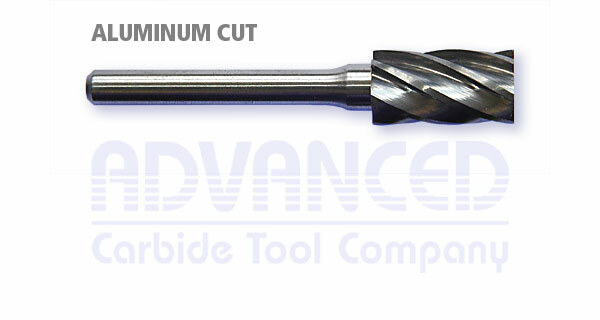 Aluminum Cut ALUMINUM CUT is for use on non-ferrous and non-metallic materials. It is designed for rapid stock removal with minimum chip loading. 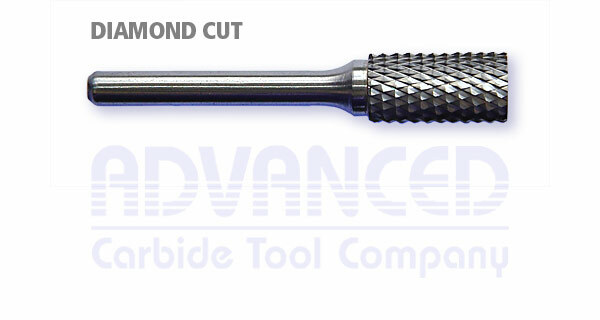 Diamond Cut DIAMOND CUT is very effective on heat treated and tough alloy steels. It produces very small chips and good operator control. Surface finish and tool life is reduced.